Concawe and Texas A&M University/AgriLife Research (AgriLife) will prepare and process samples of all UVCBs in WP1. Available information on health hazards and physical-chemical properties is collected and digitized into a flexible database that is inter-operable with the future tools of Cat-App. 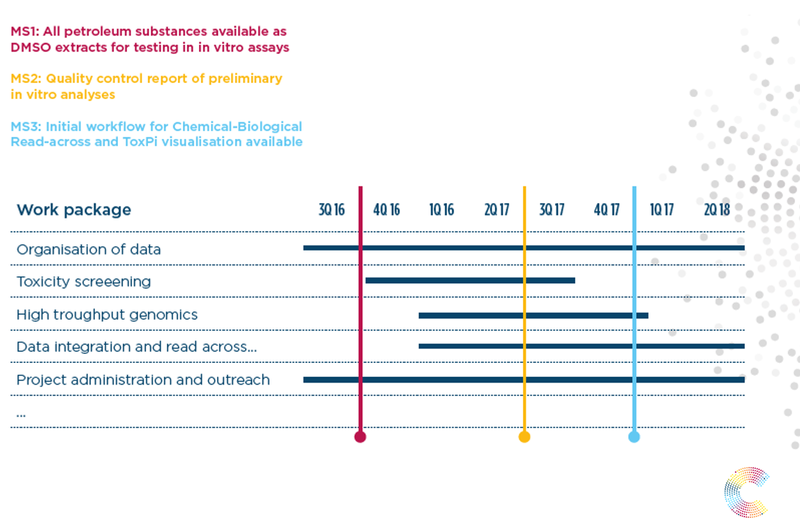 WP2 is the laboratory-based R&D work package focused on cell-based assays to outline the toxicological responses of various human in vitro models to petroleum substances as a case study for UVCBs. AgriLife will conduct high-content screening using human induced pluripotent stem cell-derived models, while Public Health England will conduct toxicity phenotyping in a panel of different human cell lines. WP3 is tasked with characterizing the biological responses of various human in vitro models to petroleum substances as a case study for UVCBs. AgriLife will conduct high-throughput transcriptomics profiling using TempO-seq. 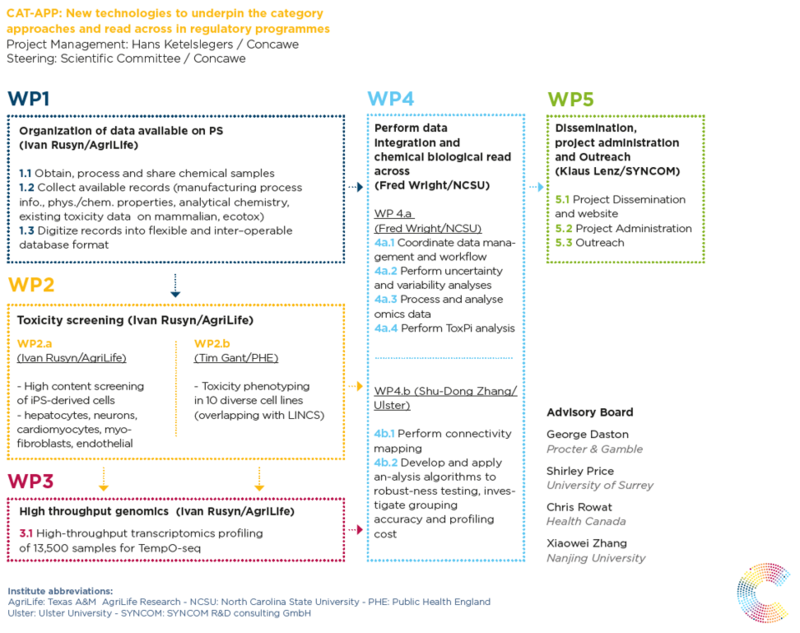 WP4 will analyze the data and create a comprehensive data utilization and visualization of the workflow to enable a key element of the framework for category read-across of UVCBs. WP 4 will be a joint work package of North Carolina State University and the University of Ulster. WP 5 is dedicated to the project administration and outreach activities undertaken by SYNCOM GmbH. Project coordination and overall management of the Cat-App project is at Concawe.